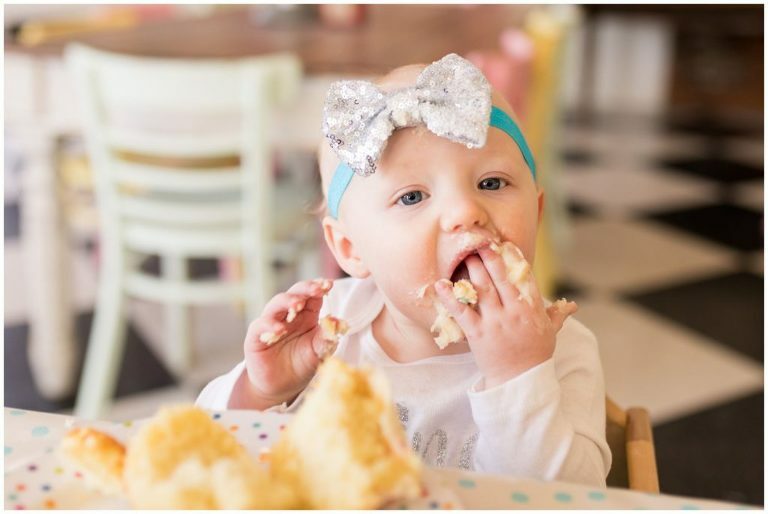 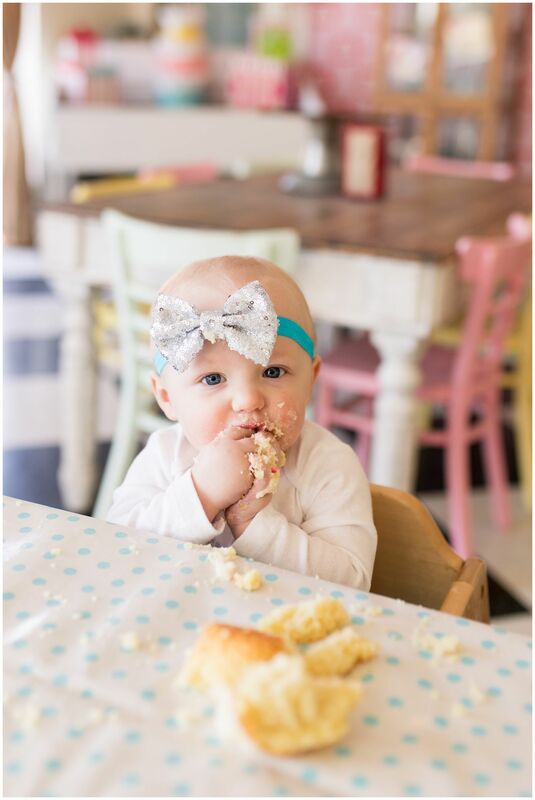 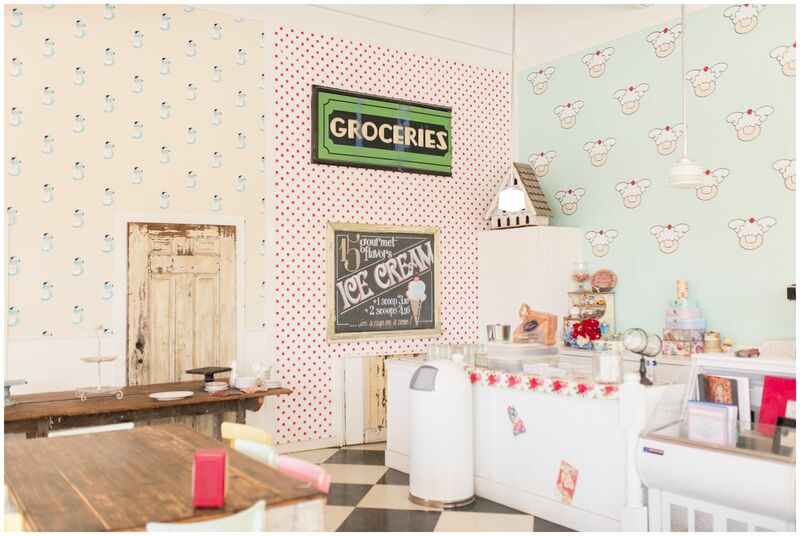 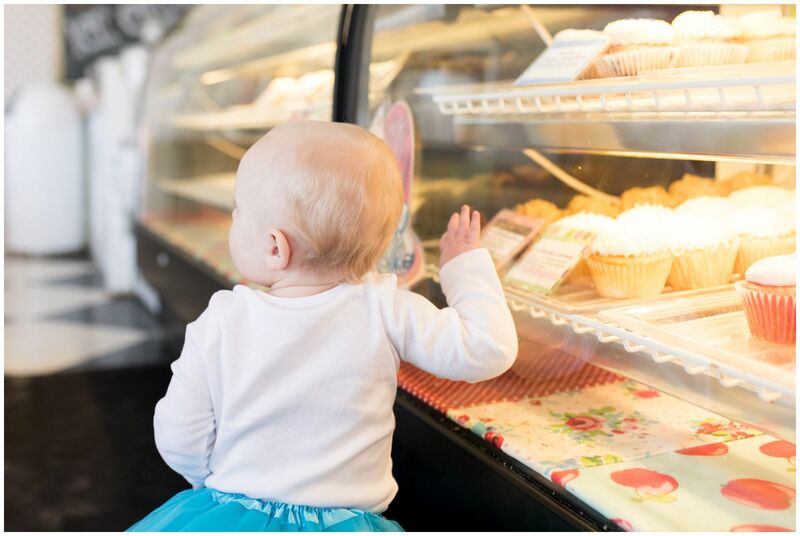 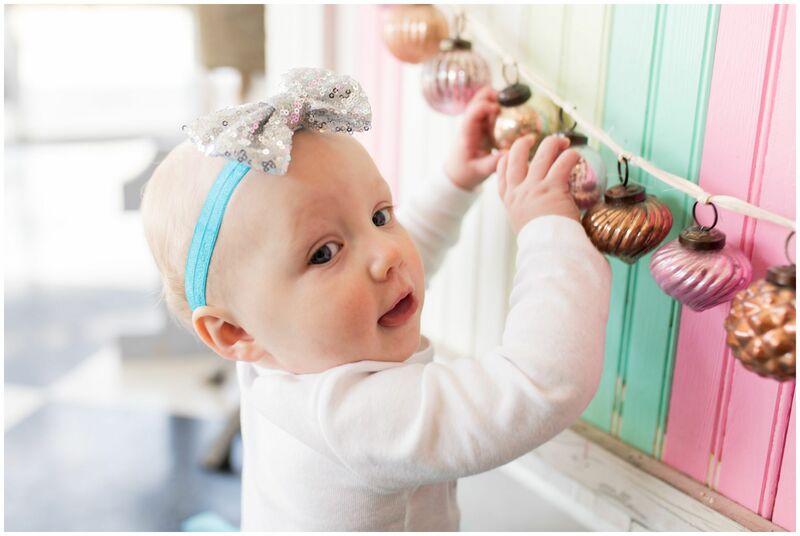 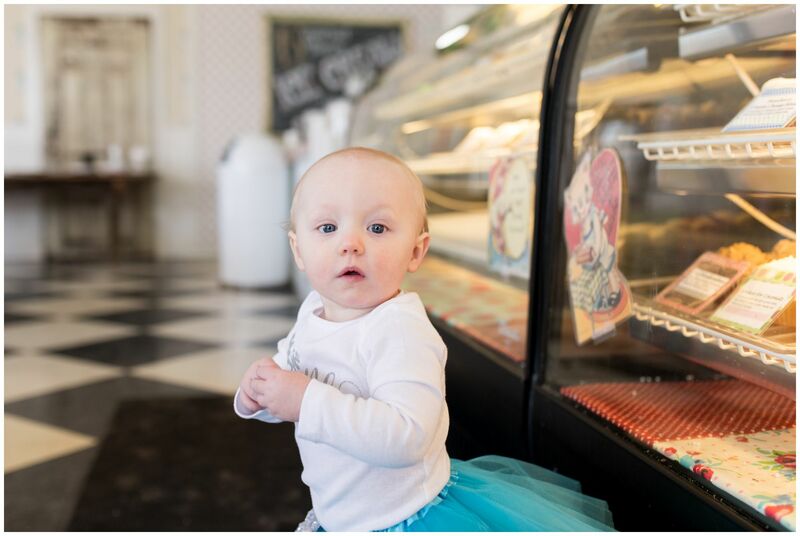 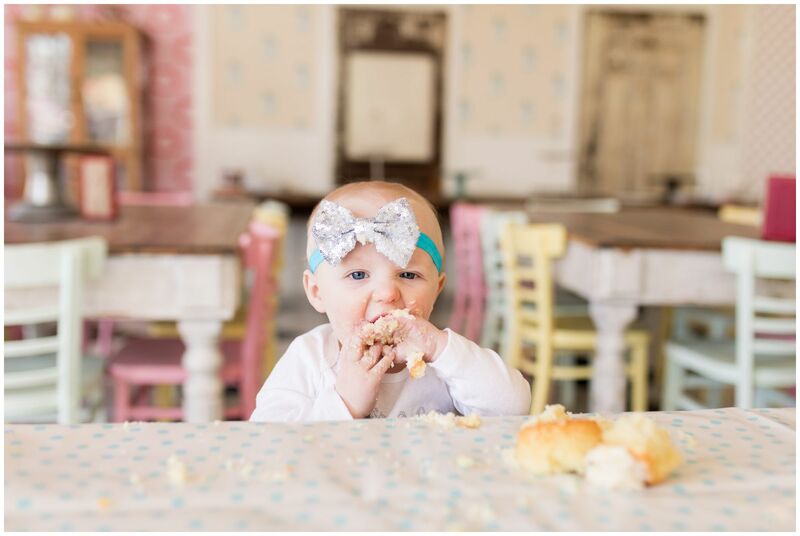 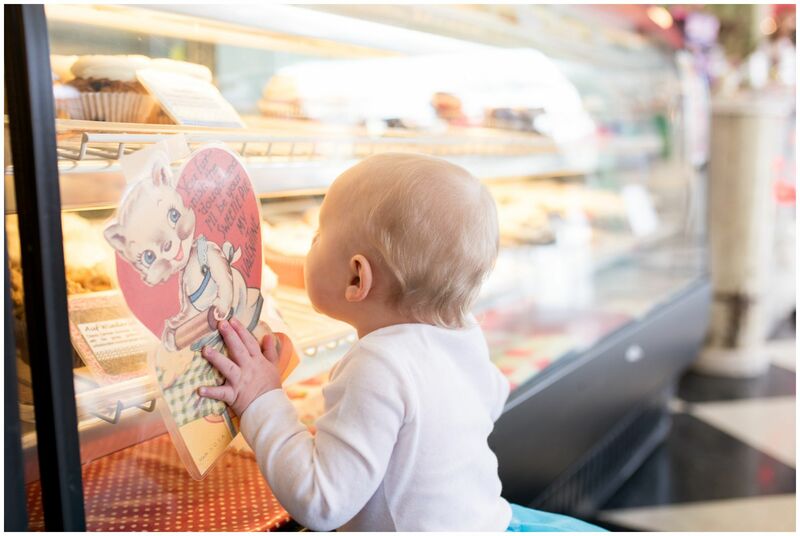 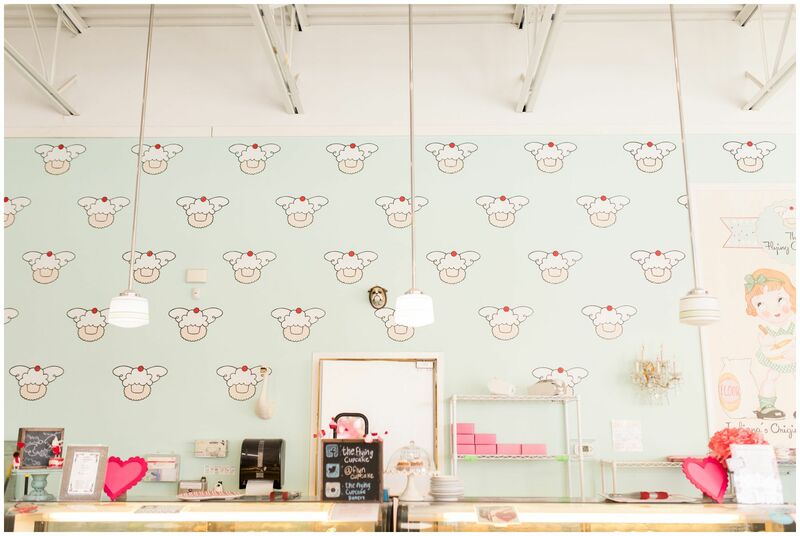 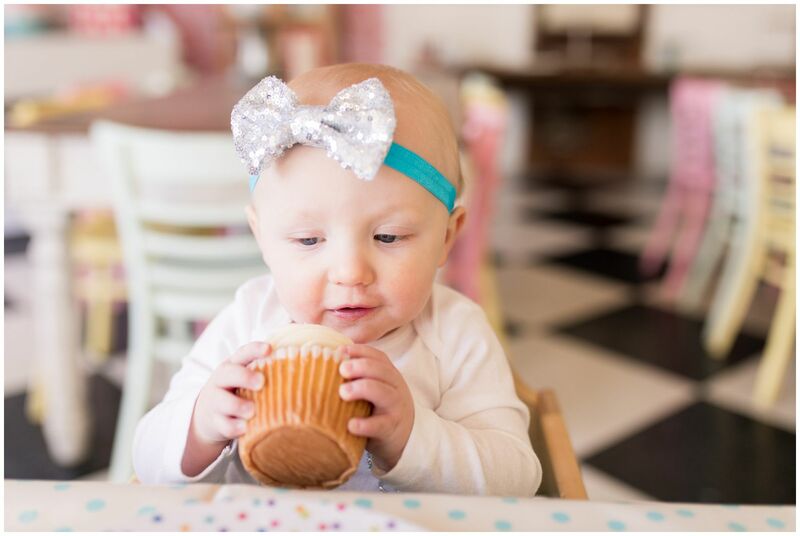 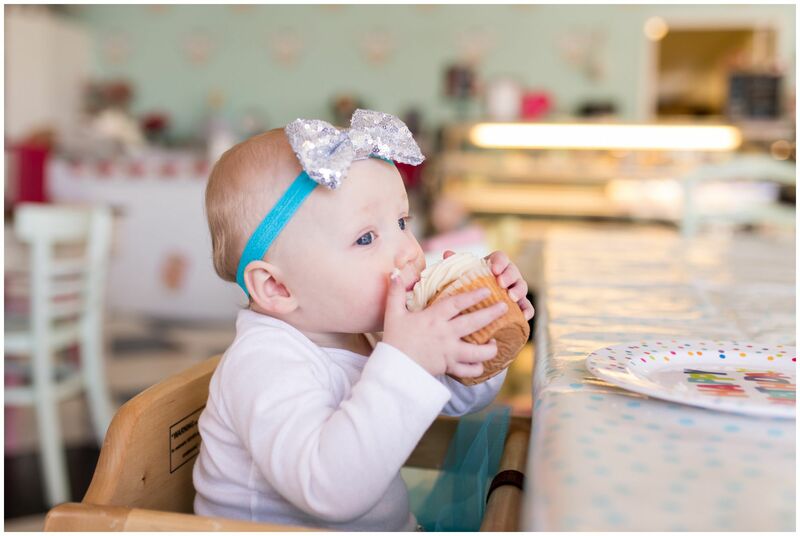 It’s hard to believe that one year ago, I photographed sweet Baby E for her newborn session, and in January, we celebrated her birthday with a first year session at The Flying Cupcake. 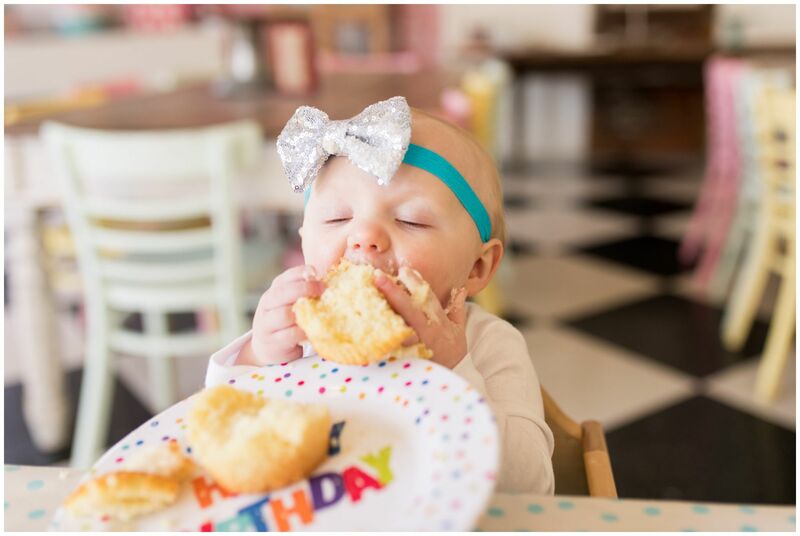 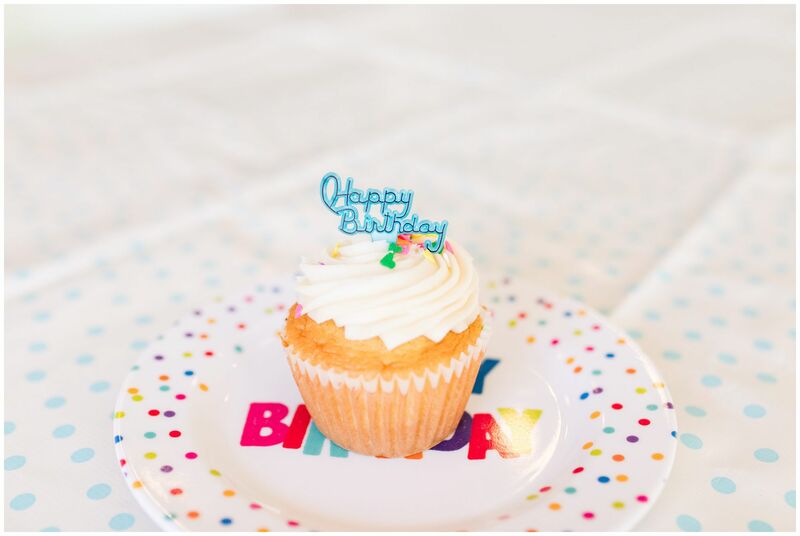 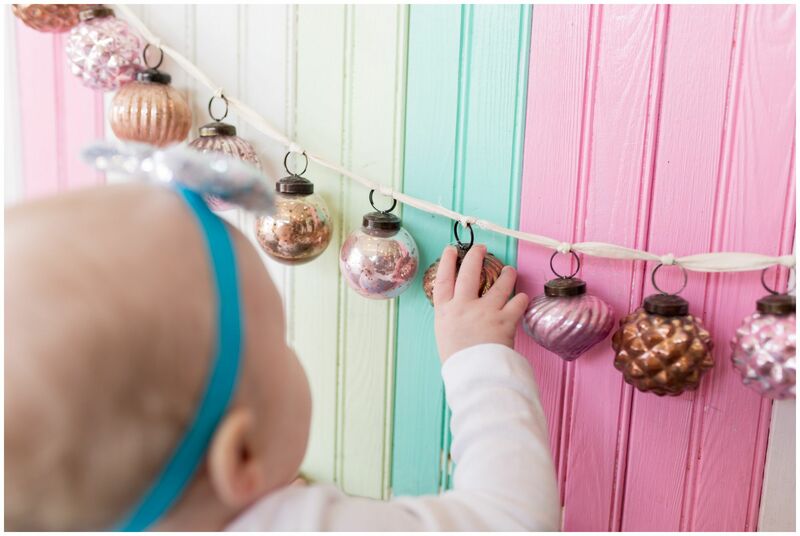 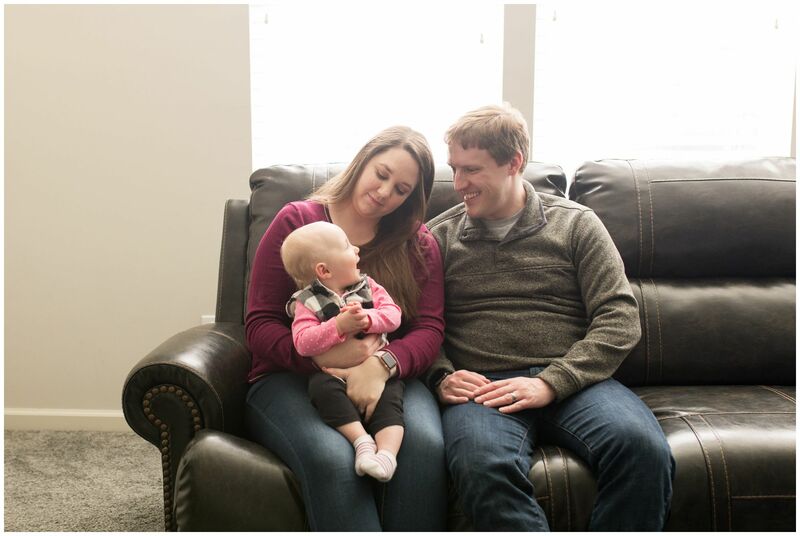 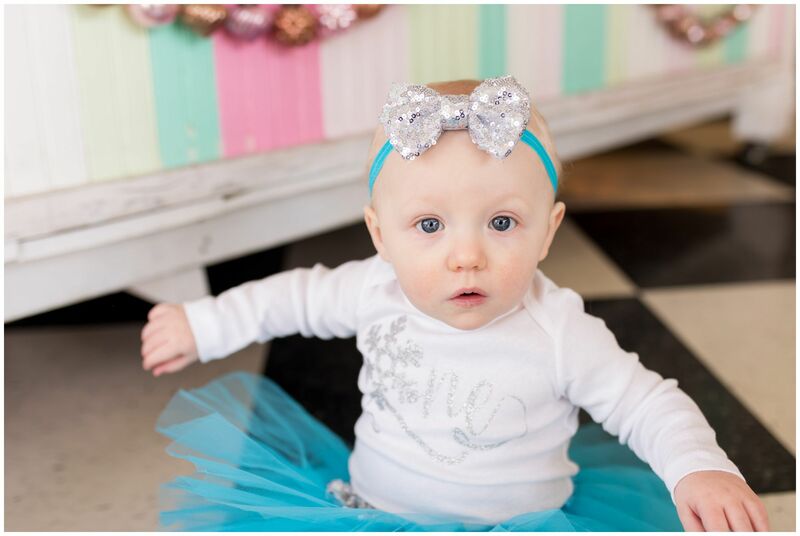 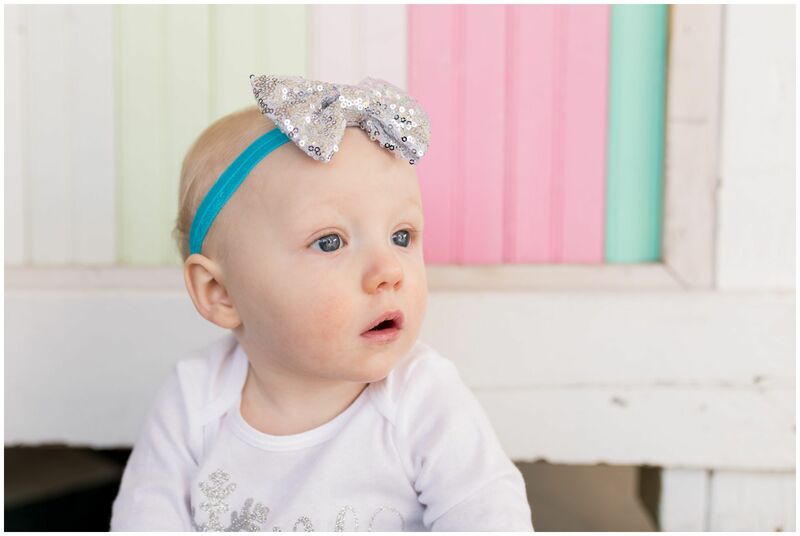 First birthday sessions are quickly becoming some of the most fun sessions I offer, which are provided to my newborn clients at a discount to celebrate their sweet babes turning one. 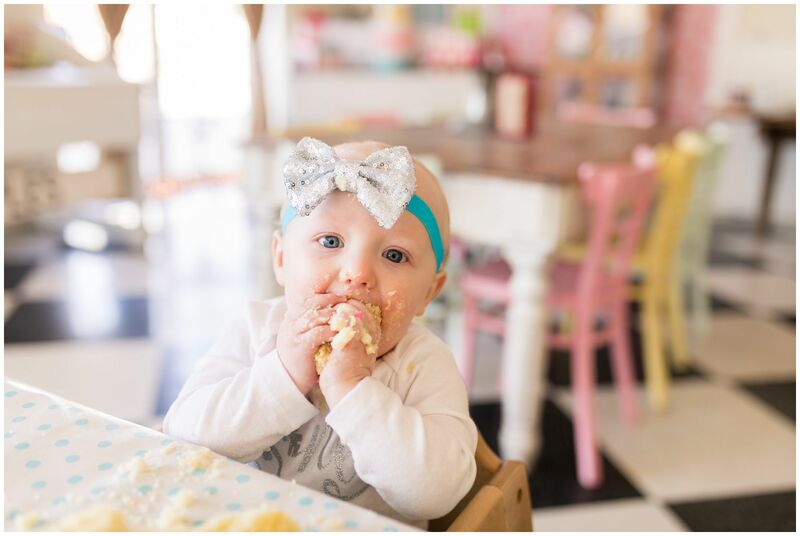 Baby E was a little shy to get started at The Flying Cupcake, so we tried just a few posed photos before we started her cupcake smash. 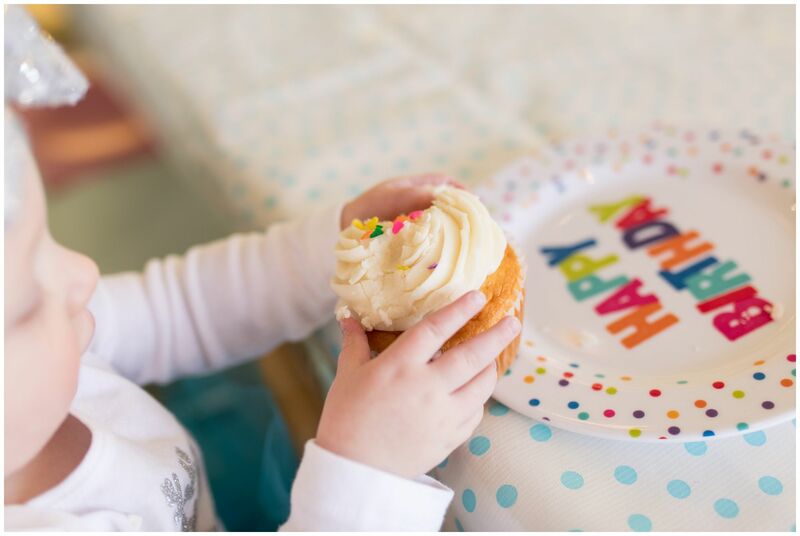 Her mom and dad picked out her cupcake, and they gave us a cute Happy Birthday plate to celebrate. 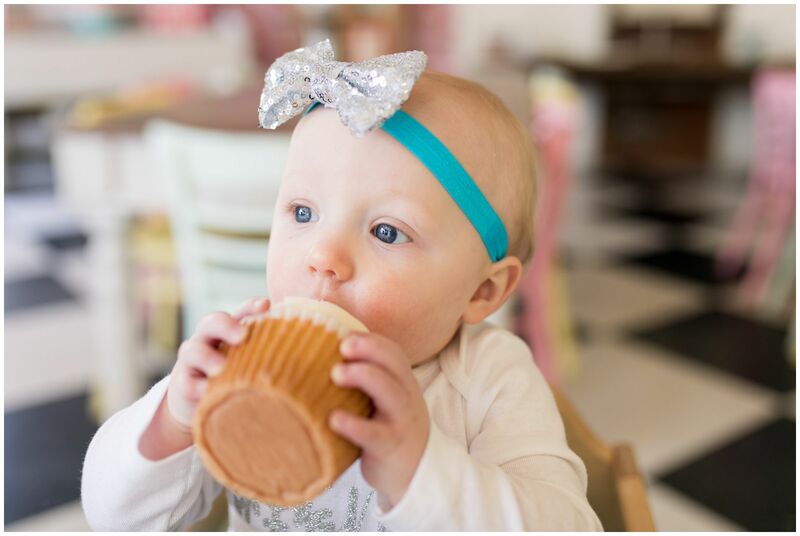 Once she got warmed up, the cupcake quickly was demolished. 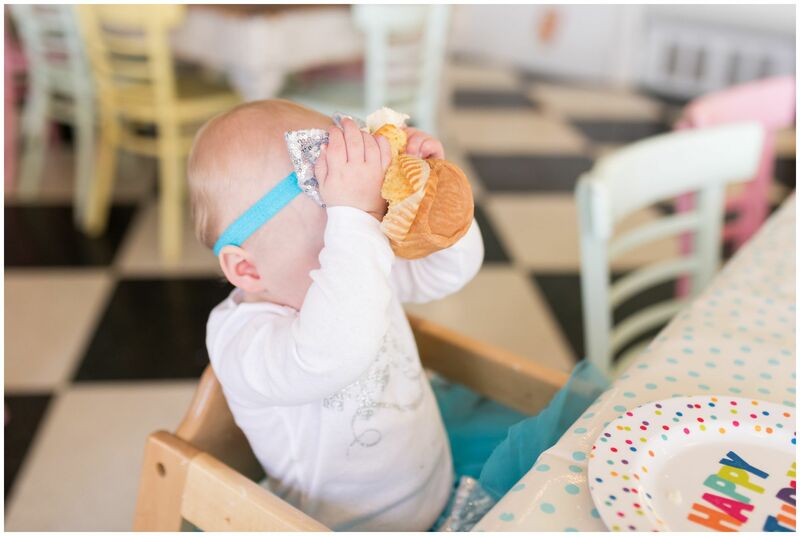 She squished the icing all between her little fingers and smashed the cupcake to bits. 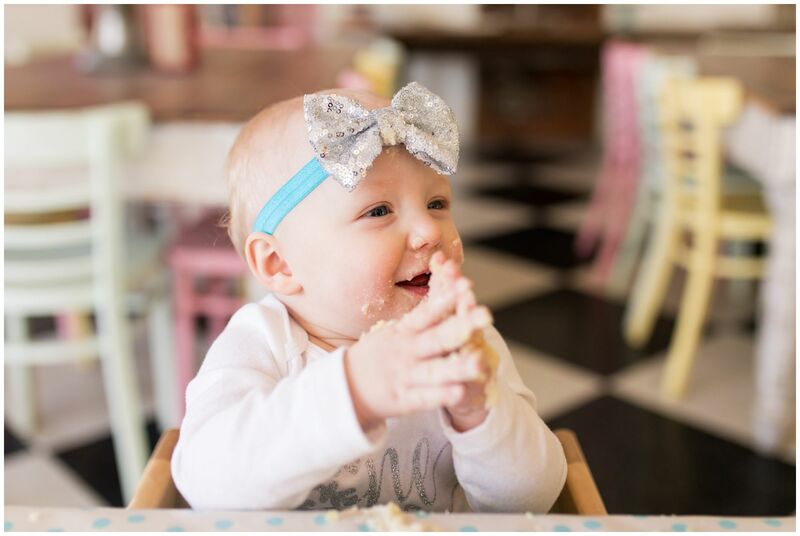 She was beaming the entire time she ate her cupcake, and we had to finally take it away toward the end so she didn’t consume too much! 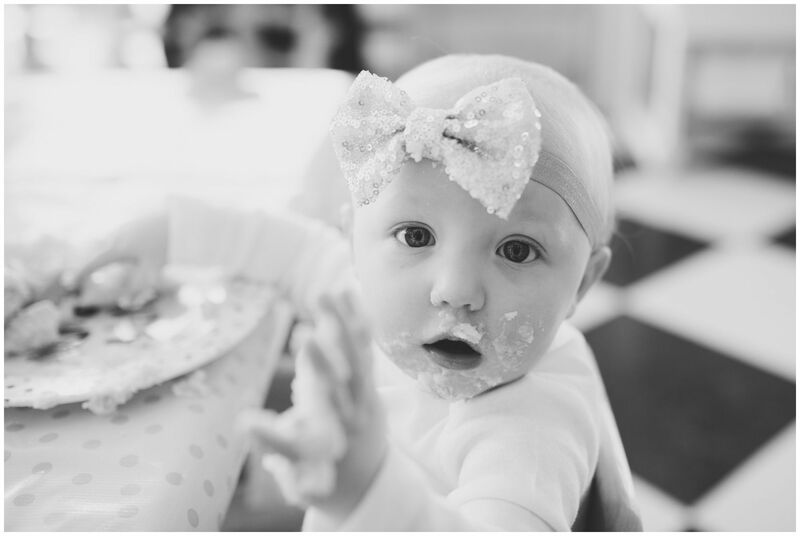 After we cleaned her up a bit, we headed back to their house, and we finished up her birthday session with some in-home lifestyle shots. 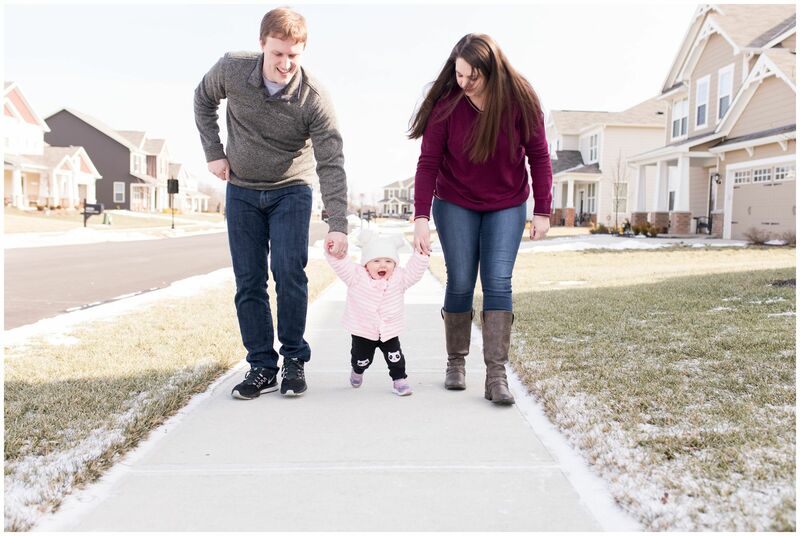 We did her newborn photos there, as well, so it was fun to get to go back and capture some photos a year later in the same spot. 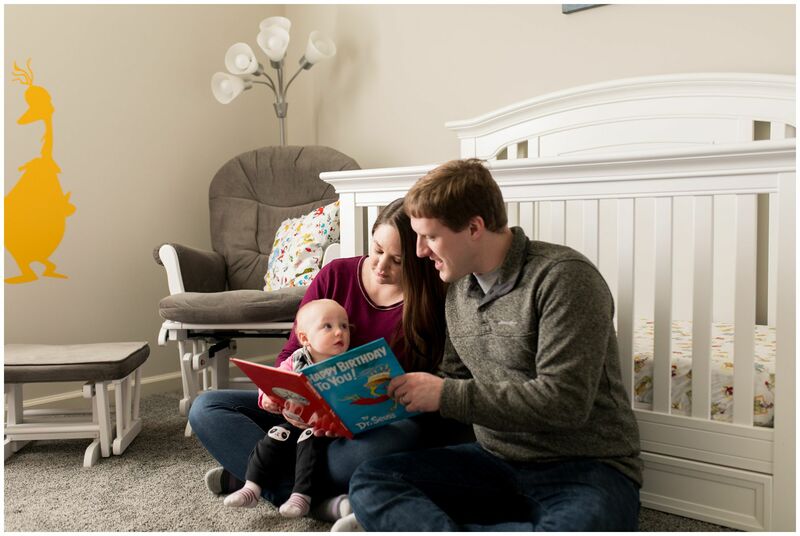 I love using clients’ homes, too, because everyone is always more comfortable there… just like Baby E was. 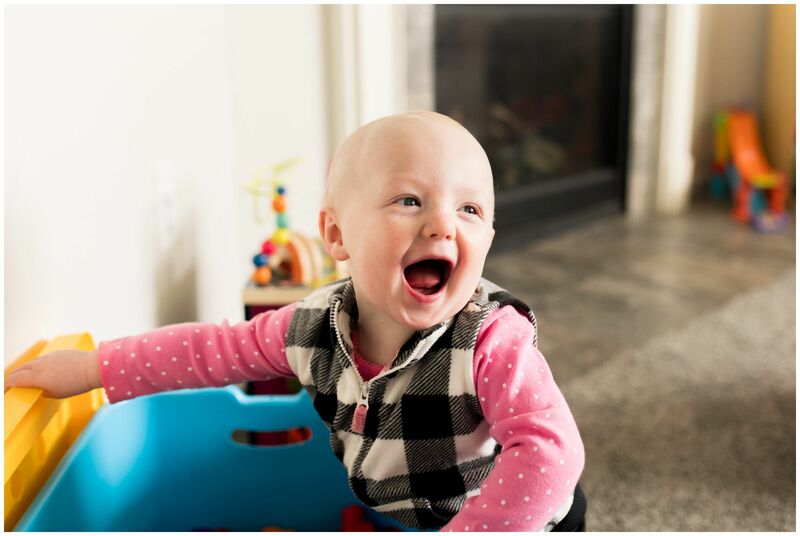 She had a blast playing with her toys, going down her slide with her mom, and reading books with mom and dad in her nursery. 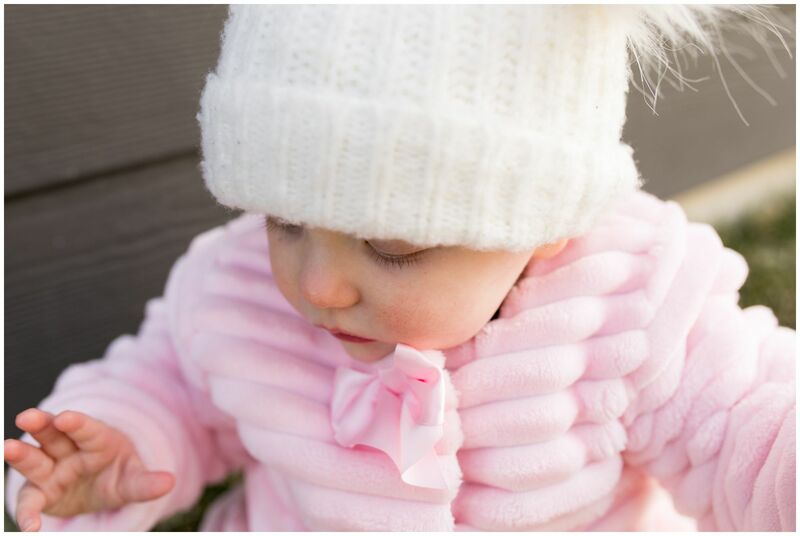 We ended her session by taking a short walk outside their house in the cutest little pink coat while holding mom and dad’s hands. 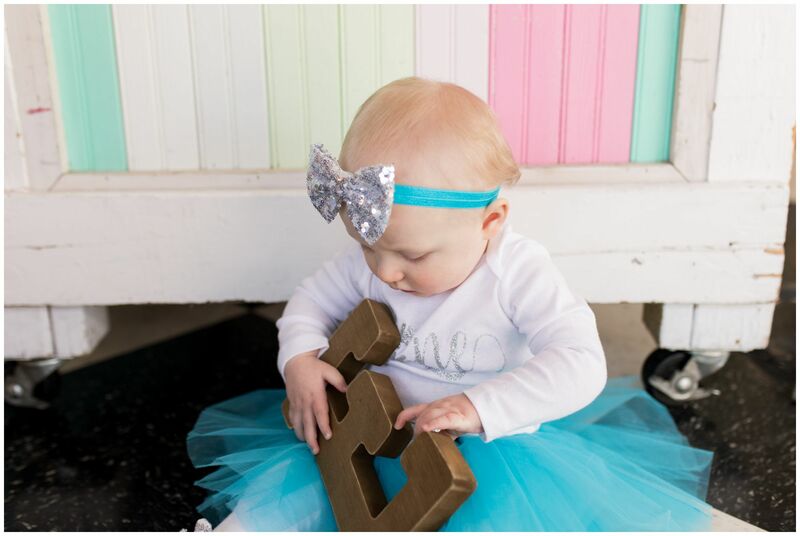 Baby E, happy birthday to you! 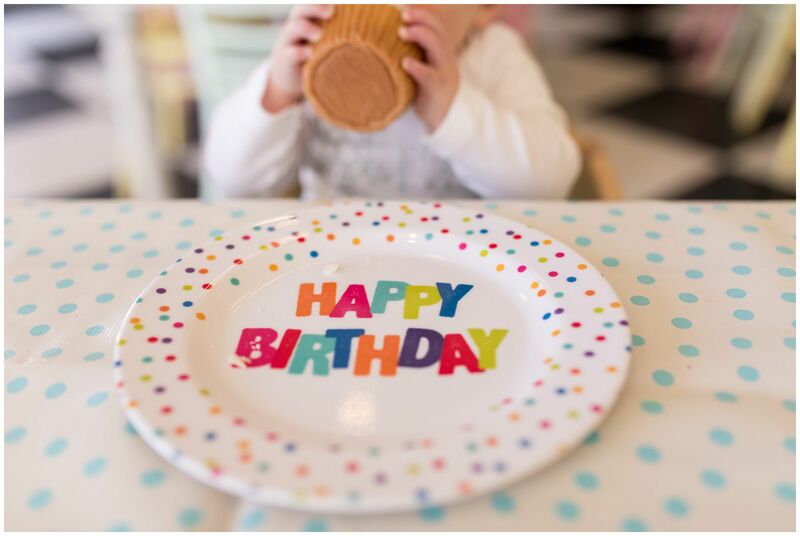 I hope all your years hold joy and happiness for you as you continue to grow and explore the world. 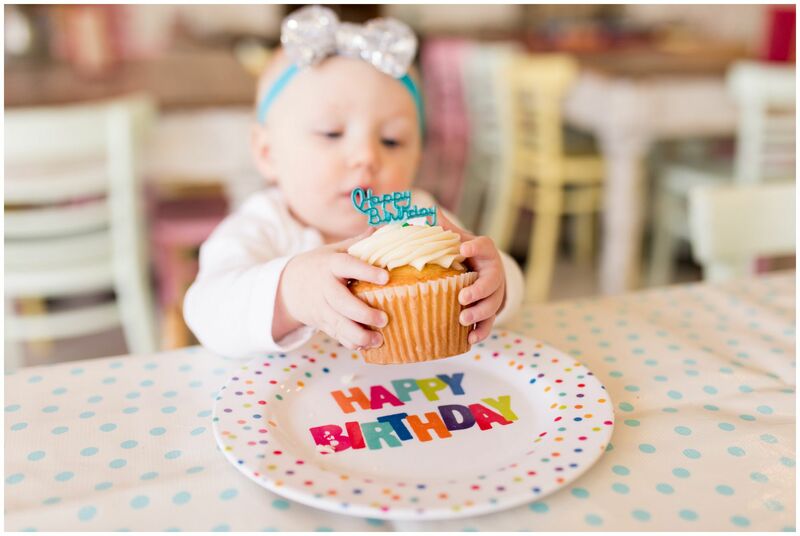 To mom and dad, thank you so much for choosing me to capture these milestones for you, and I hope you enjoy these sneak peeks! 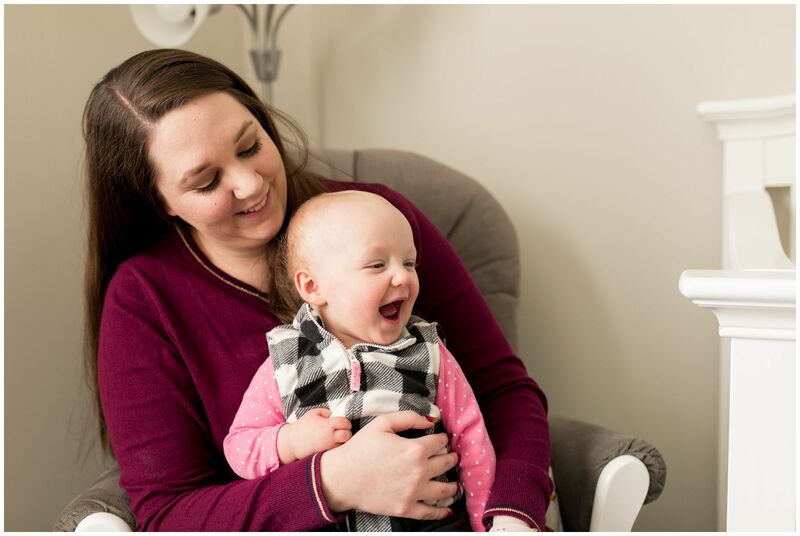 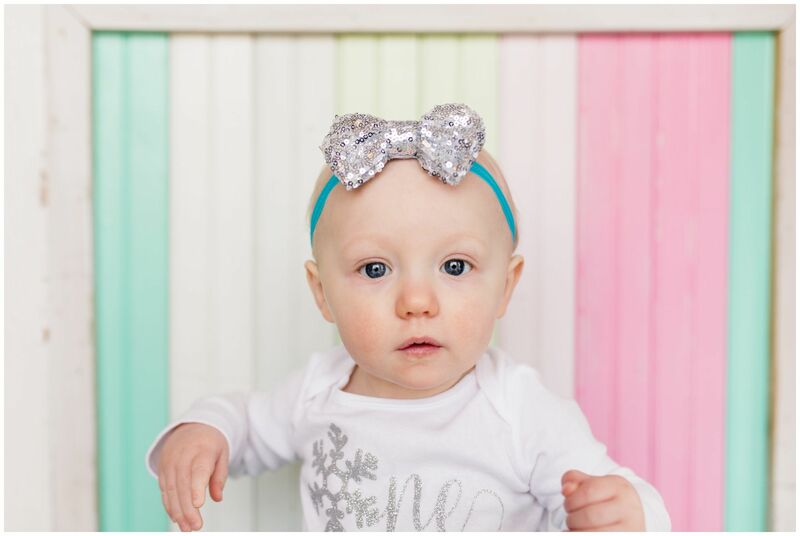 Autumn Howell Photography is an Indianapolis baby photographer, serving clients across central Indiana, including Kokomo, Fort Wayne, and Fishers. 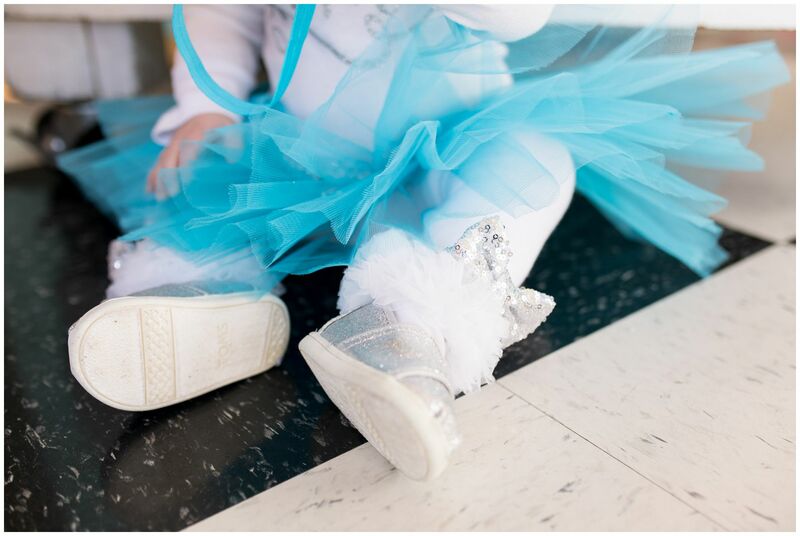 Learn more about booking me as your baby photographer!